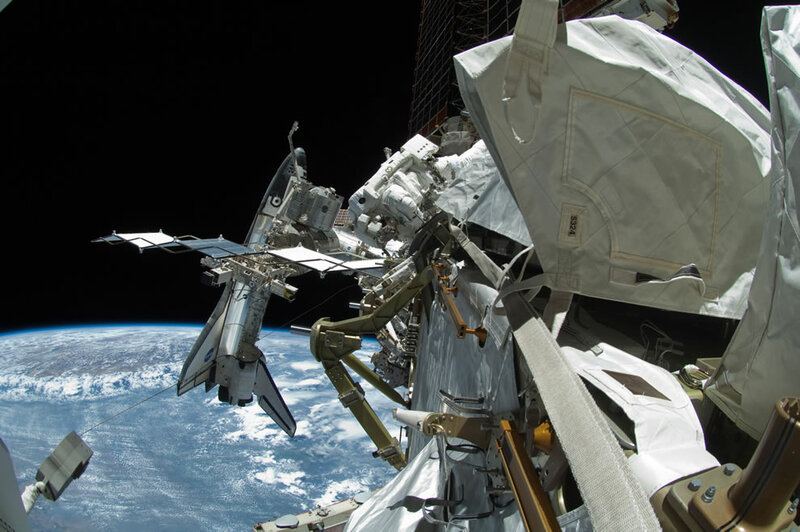 Today NASA astronauts completed their final spacewalk, the last ever for Endeavour. During the 16-day mission, Endeavour and its crew completed NASA’s part in the construction of the International Space Station. This was the 36th shuttle mission to the ISS and this was the last spacewalkers that Endeavor will ever carry to space. The crew members for space shuttle Endeavour’s STS-134 mission are Commander Mark Kelly, Pilot Gregory H. Johnson and Mission Specialists Michael Fincke, Greg Chamitoff, Andrew Feustel and European Space Agency astronaut Roberto Vittori. Sadly, we cannot count upon NASA’s astronauts to take any more wowza photos for us. This is the 25th and final flight of Endeavour before the shuttle is retired along with the rest of NASA’s orbiter fleet later in 2011. Thank you NASA, Endeavour STS-134 mission astronauts and ISS astronauts for your bravery and amazing photographs. We love these pics!